Western Bottle News: Dudley; do right? Here's a quickie follow up to Rick's past couple of posts. 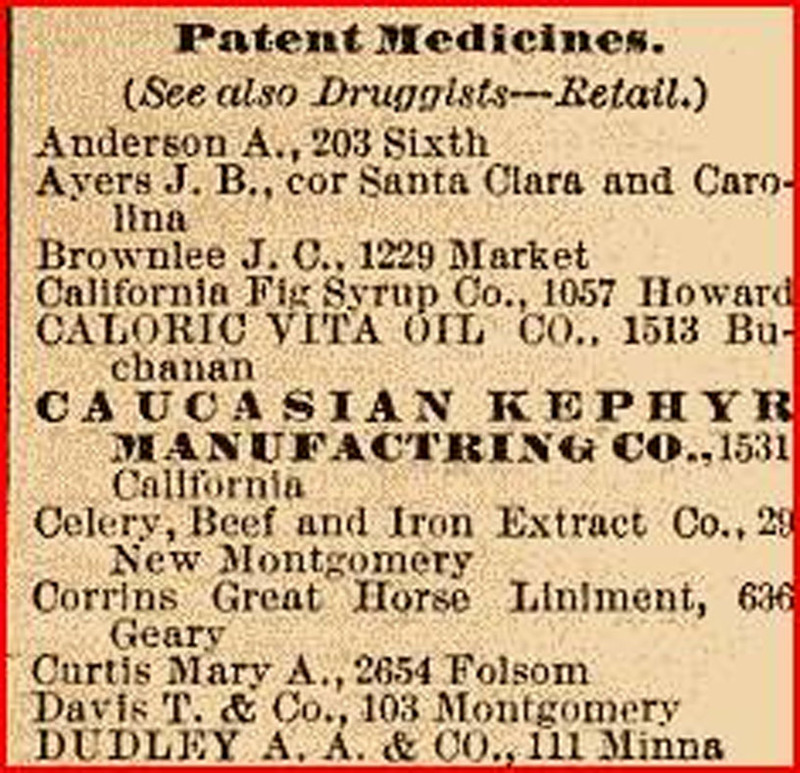 I was able to locate Dudley & Co., the apparent sole proprietor of Dr. Harvey's Blood Bitters in San Francisco almanacs starting in 1889, the same year as his now infamous advertisement appeared. However, no record in 1889 McKenney Directory. A little more in terms of concrete evidence appeared by way of Dudley's first name (no not "do right") and his place of residence; Oakland. Additional listings appear for Dudley & Co. from 1890 - 1892. 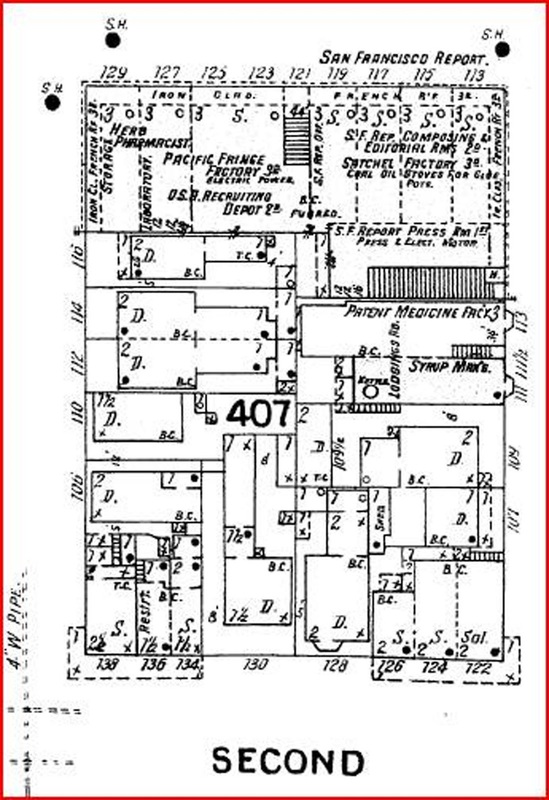 1890 S. F. Accurate Index Directory. Looks like Dudley did indeed "do right" for a very short period in time. And then, as quick as he surfaced, he disappeared. Not listed in the 1893 Langley S.F. Directory. Not listed in the 1893 S.F. Telephone Directory. 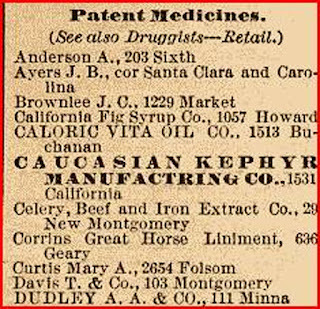 No reference to Arey and or A.A. Dudley & Co. is present in either in prior or subsequent directories. With Dudley gone, one wonders who picked up the slack and if Dr. Harvey's Blood Bitters continued to be manufactured at 113 Minna in plain paper label bottles. I picked up Arey's trail in the Oakland directories. 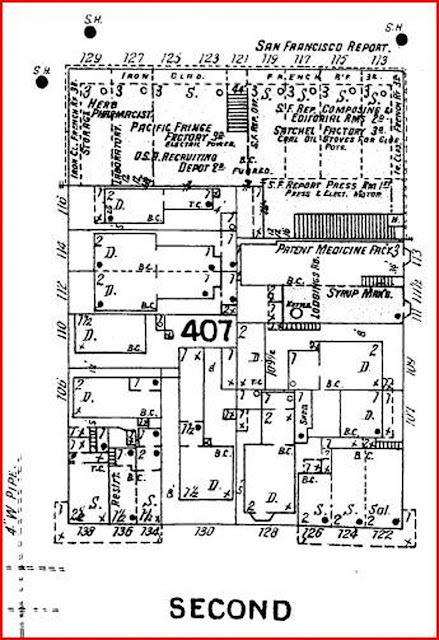 He is listed as a "chemist" in 1889, residing at 1222 Franklin in Oakland. No mention of him for a few years until he resurfaced in 1903 as a Real Estate salesman living at 166 E. 15th St. There is no mention of him in society directories and no record of him ever having a telephone. This indicates that he lived a pretty meager lifestyle and, like the used car saleman of today, was an opportunist always looking for greener pastures. Pastures that seem to elude him. By 1892 - he's Stockton CA and listed as a real estate agent - shows up there till 1900 when he's listed on the US Census as being back in San Francisco with Real Estate Agent as his occupation.